Given the unfolding story of my Parliament of Selves, republishing this sequence on consecutive days seemed a no-brainer. In the previous post I briefly described the circumstances that led me to risk an encounter weekend run under the auspices of People Not Psychiatry in the mid-70s. The experience illustrates my life-changing encounter with some of the powerful unconscious undercurrents of my mind – proof, if any were needed, that consciousness has a filter to screen out unwanted experiences from below and it can sometimes take extraordinary circumstances to create a leak in the filter. 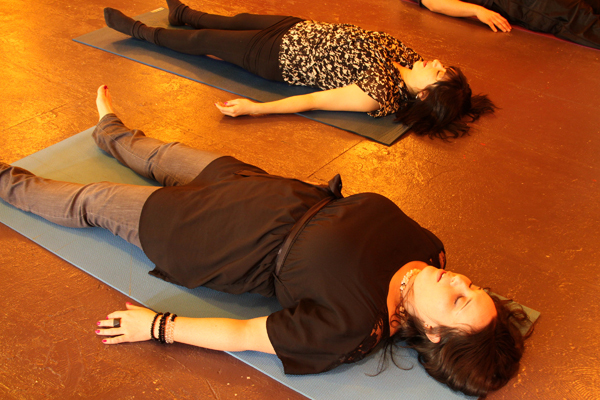 Reichian Breathwork helps clients achieve a sense of peace and calm by guiding them to focus only on their breath. They release their worry and rather than thinking about planning and doing, they are instructed to go inside their own body and simply be. This is an arduous task at first, but with practice clients learn to control their breathing and still the inner and outer voices. Complete calm and stillness must be achieved in order to direct all of one’s attention on one’s breath. This practice is performed in groups, in class and studio settings, or can be performed individually. There are a number of various tools available to help people learn the art of Reichian Breathwork. Janov states that neurosis is the result of suppressed pain, which is the result of trauma, usually trauma of childhood origin. According to Janov, the only way to reverse neurosis is for the neurotic to confront their trauma in a therapeutic setting. Janov contends that by confronting their trauma, the neurotic can relive the original traumatic incident and can express the emotions that occurred at that time, thereby resolving the trauma. . . . . Janov believes that there is only one source of mental illness (besides genetic defects)—imprinted pain. He argues that this unitary source of neurosis implies that there can be only one effective cure—re-experiencing. The encounter weekend’s method fused both these two forms of therapy into one. The aim was to reconnect you with primal pain by focused breathing. I climbed the steep and uncarpeted stairs to the therapy room on that first Friday evening with a degree of trepidation, my footsteps echoing off the walls. I walked through the door into a converted bedroom with a spongy covering over the entire floor. Spread around the room were countless pillows. There were about fifteen of us who would spend the entire weekend till Sunday afternoon breathing hard and pounding pillows with very little sleep until a small minority of us plunged through the floor to the basement of our minds to confront whatever demons had been locked away there. Those with anger as the dominant emotion were the ones to pound the pillows most, often shouting out their rage to the person they’d been paired with for the purpose. Others, like me, who tried pounding the pillows hunting for anger but failed to connect, and who were completely unable to put any kind of label on the emotional quarry we were pursuing, spent a lot of time lying on our backs focusing on our breathing. Friday night was a disappointment. The rabbits of our primal pain were still deep in their burrows, silent and invisible. This process went on for what seemed hours. The theory was that the more deeply you went into the experience, the more likely your were to connect with its cause. Many years later I did have a successful integration of this kind with a different set of feelings (see link). That didn’t happen this first time, nor was I ever able to connect this pool of tears with any specific event or determine its meaning. When I discovered it, I realised it had always been there. Decades later it seems that it always will be, as long as I live in this body at least. I can invent reasons for its existence (there’s a lot of material to choose from – see for example the poems about my family, my searching (which in a way still continues) and my operation: these experiences all predated my breakthrough into my mind’s basement) but I cannot safely conclude that any of them apply as none of them ever popped to the surface to be identified as the culprit during breathwork. It seems to be just as Virgil wrote ‘Sunt lacrimae rerum et mentem mortalia tangunt’ (‘There are tears for [or “of”] things and mortal things touch the mind.” So, no explanation at all really. 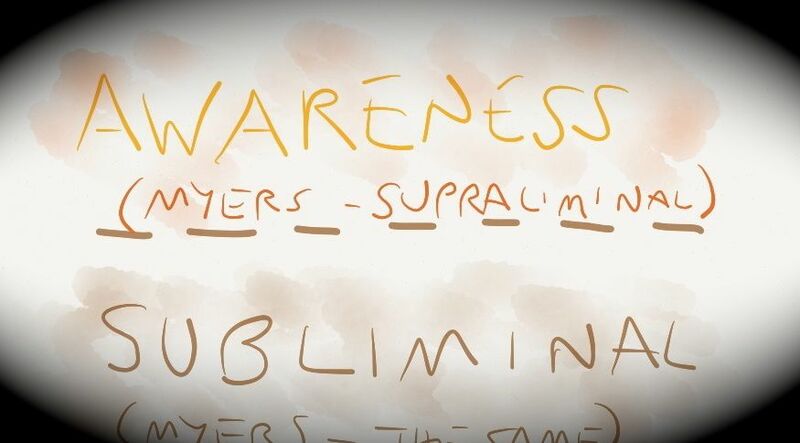 Most people interested in such things will now readily accept that there is more going on underneath our awareness than we will probably ever know. I’m not sure that in the west we would give the same degree of credence to the probability that there is even more going on above it. But a consideration of my experiences in that direction will have to wait for next time.